With Christmas just around the corner, most of us are starting to fill up our list finding the perfect gift for our loved ones. Strolling around the mall seems fun until you find yourself lurking to some sale items that are probably not on your list, I get you. So this is where shopping online or through direct selling comes in handy. What’s good about shopping thru our trusty direct selling brands is the discounts plus it’s readily available for pick-up on their branches, unlike online shopping during the holiday season, your package can take years for you to receive due to heavy volume surges. So, Tupperware Brands Philippines got your back for some holiday gift ideas. We all know them for sure as they have been in the industry for over 50 years which represents the food preparation and storage for home, and now they also carry other brands of beauty and personal care. Now, they offer the Limited Edition Justice League Beauty and Fragrance products. Check out the full collection below so you can have an idea what to add to your Christmas shopping list. The Ultimate Body Duo inspired by Wonder Woman! It’s sweet and refreshing, formulated with Olive Oil to moisturize the skin and Tsubaki Oil an anti-oxidant rich oil to hydrate the skin. This is a perfect gift idea for moms, aunts, and even our skincare savvy friends who’d like to pamper themselves at home. Pink and red lip stains for a power pout! 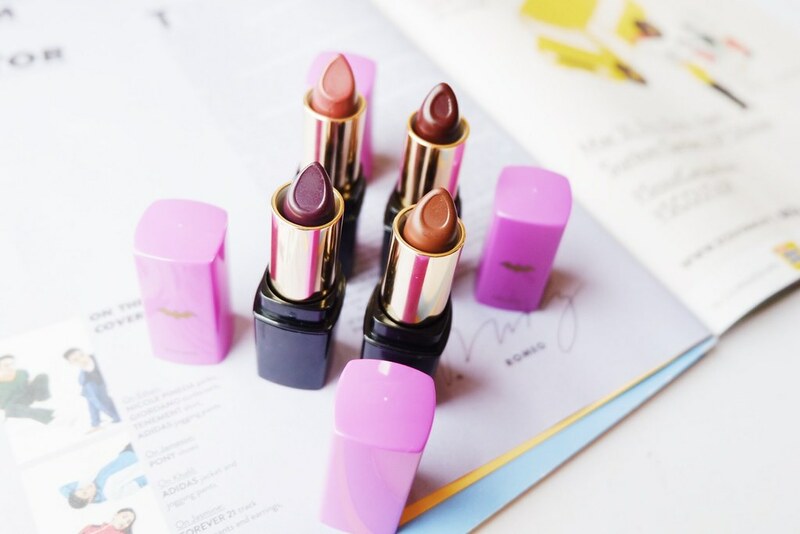 It moisturizes and conditions the lips enriched with Acai Palm Oils to protect from chapping. So consider this as a lip balm and lip stain in one stick with a slick satin finish. It comes with a wonder woman packaging too! Super perfect for the Wonder Woman on-the-go women of our life. 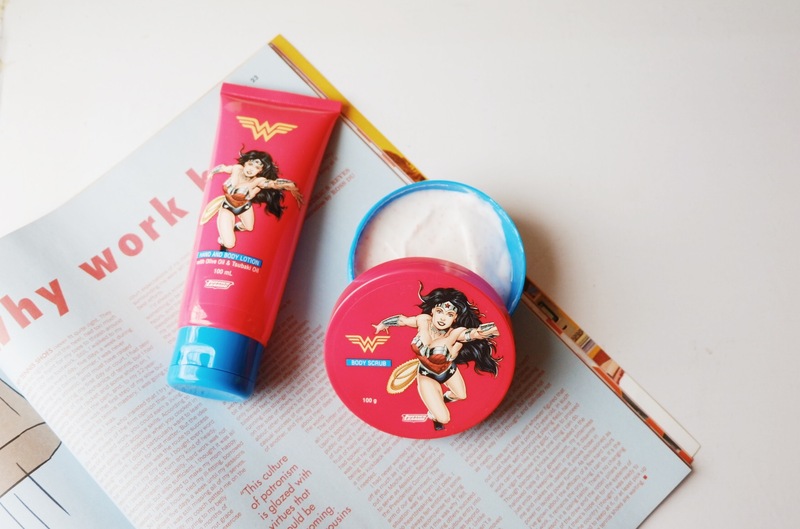 Unleash your inner wonder woman with this Floral Fruity Scent! 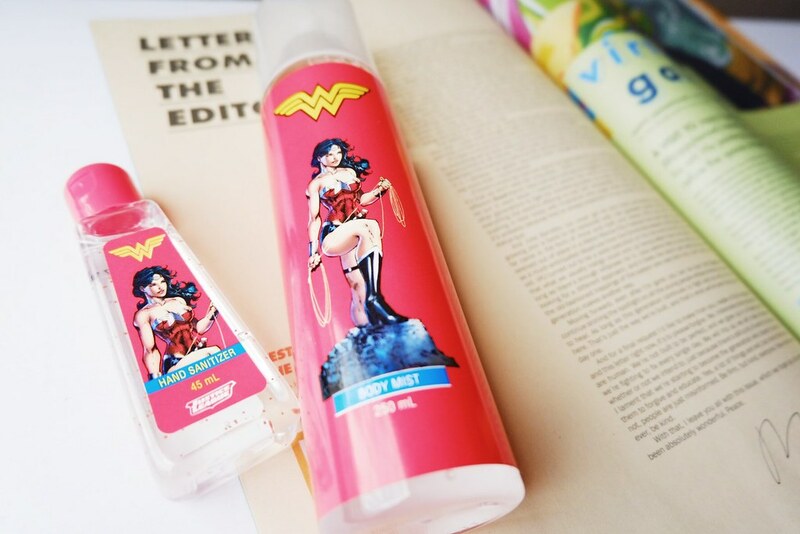 Stay sassy and fresh all day with the Wonder Woman body mist perfect for teens! Also, you can add this hand sanitizer to keep them germ-free too, both come with this cute packaging. Your inner Batgirl with these dark hues! 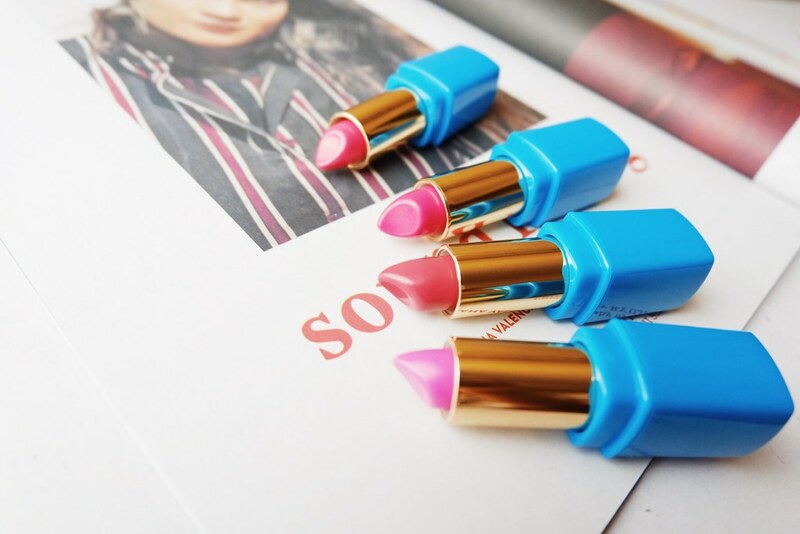 It’s non-drying total matte lipstick with a super creamy texture, enriched with Shea Butter and other moisturizing ingredients with a pigmented dark shades. It’s actually one of my favorites here, perfect for your gal friends and office mates too! Bring out the girlboss in you with this Floral Fruity Scent! Very refreshing and can last for long, when you’re at school or just hanging out with friends. Perfect gift ideas for teens and your Gen X buddies! The forces of freshness in one bottle! 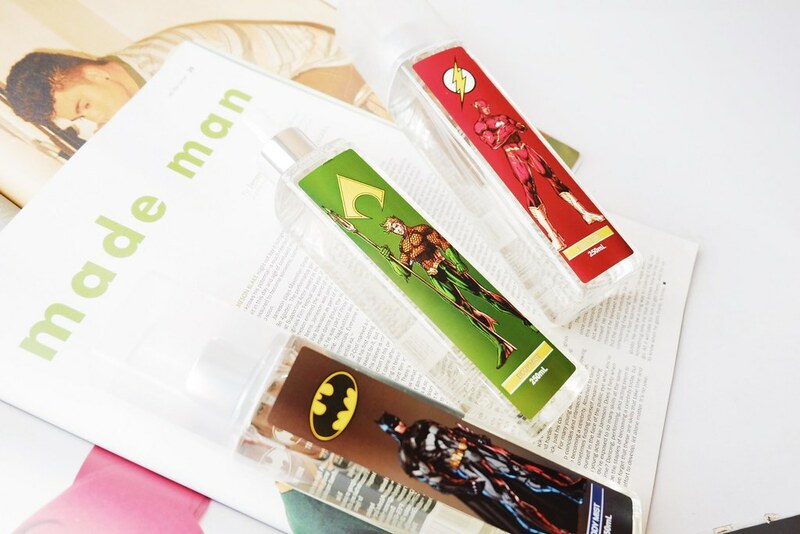 Be fantastic all day with these Justice League body mists– Aqua Man for a Citrus Aqueous Scent, The Flash for Woody Citrus Scent, and Batman for a Fougere Citrus Scent. My beau certainly loves them all so you now know what to get for your bros and the dudes in your barkada. Stay cool in this super duo! 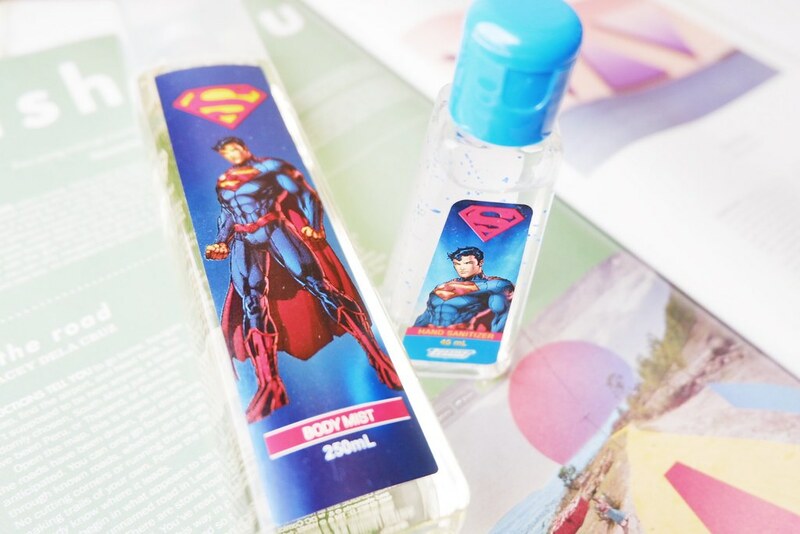 Man up the streets with Superman Body Mist with a Fougere Citrus Scent plus this anti-bacterial Hand Sanitizer! Tis perfect for your younger brother, cousins, and nephews. Now I don’t have to worry about my holiday gifts for my friends and family! And since it’s Christmas, me and Tupperware Brands Philippines are giving away one set of the following to one lucky winner. Hit on the Rafflecopter Box and make sure you follow the steps. This is open for Philippine residents only and prizes might change depending on the availability of the products at the pick-up branch near you. Winner will be shown on the Rafflecopter box and will be announced via Instagram Stories on November 6, 2017. This is a sponsored giveaway by Tupperware Brands Philippines. All thoughts and experience stated in this post are entirely my own. I got really excited when I learned that Tupperwear brands came up with products with superheroes on its cover! I am a fan of Wonder Woman because of her hourglass figure and her strength. Woman Power!!!! 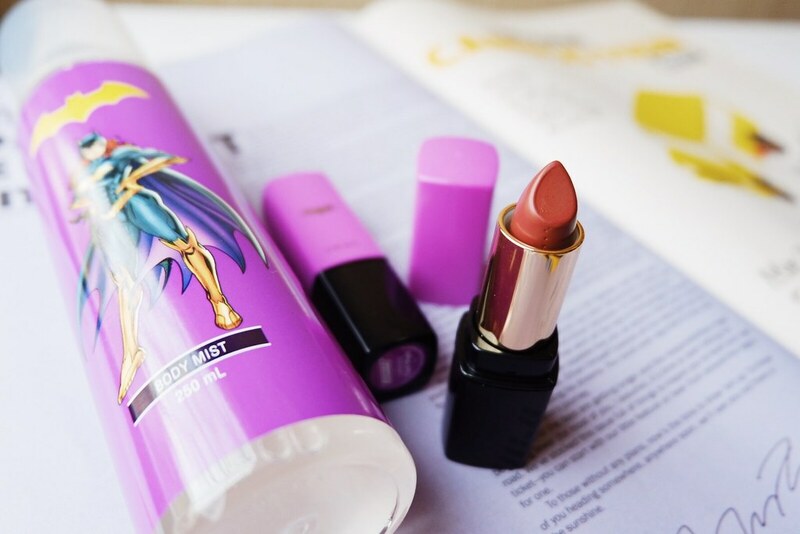 I would love to have one of those Wonder Woman lipsticks since I like pinks and pinkish red lippies. My pale lips tends to be dry during the “Ber months” so I reach for lipbalms during these months. 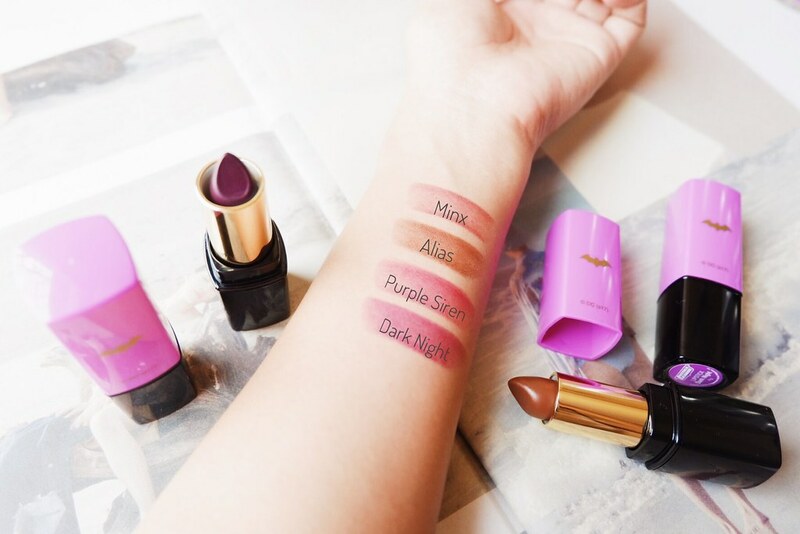 The formula of these lipsticks is just what I need. i love justice league and i love them all but my favorite is hand sanitizer. staying safe always. I would like to win the Wonder woman lipsticks😍 the shades are awesome and its perfect for chick kind of looks! Im a fool for lippies and i love sharing my new find lippies to my friends! Hoping to win this giveaway so i can show them personally how awesome tupperwear’s beauty line. Id like the 2 Wonder Woman Lipstick in Goddess and Red Blast 😘 I feel so empowered with this limited Wonder Woman Lipsticks!!! 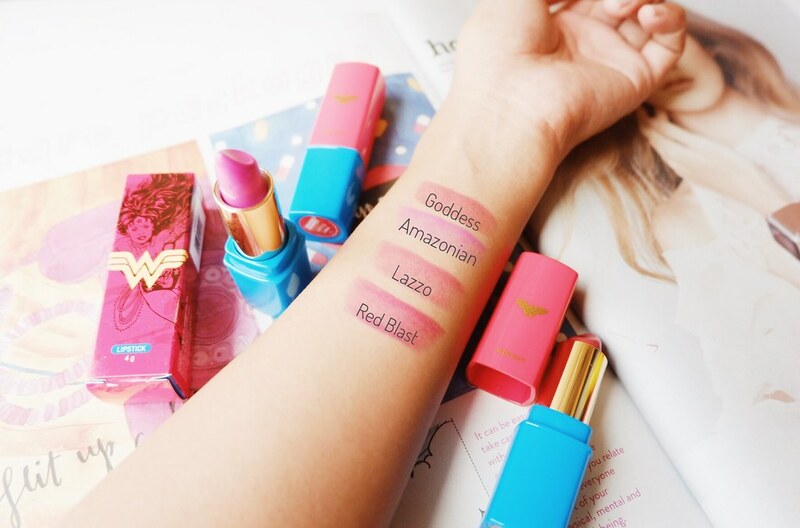 I’d love to try the Wonder Woman lipsticks! Why? The colors are perfect for everyday makeup look! This would go well with my uniform and would help me look more professional as a teacher. Second, its shades are also perfect for date nights! And third, who doesn’t love Wonder Woman? She’s the epitome of badass and having a Wonder Woman lipstick would make me feel like one too! 😊 It kind of gives you the confidence!